The man was just happy to live. I also have to mention that mullet…look at the mullet. Furthermore, I actually enjoy his ESPN shenanigans, which I can’t say for most former players. The man is a legend in his own time and he was also my most recent ebay pickup. 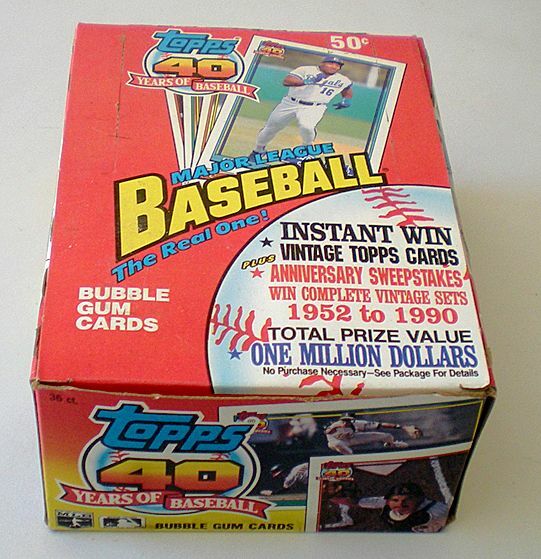 My fixation on Topps Archives continues and this was a must-have. An autograph of one of my favorite non-star, non-Yankee players on a reprint of a set that I spent a lot of time collecting as a kid. Truly classic, truly the best. It’s no secret that I’m a huge fan of college basketball. Here in Tucson college hoops is an institution and it’s hard to grow up here and not become a fan. I’ve had the opportunity to watch and meet many of college basketball’s legends, guys like Steve Kerr, Sean Elliott, Jason Terry, and Mike Bibby to name a few. Two teams defined my childhood: the Yankees and the Wildcats. So it should be no surprise then that I have a number of college basketball cards in my collection. This is an area of the hobby that I believe is both under represented and undervalued. I’ve been able to get autographs of a number of my favorite Wildcats for less than $3 and even the higher profile names, like Bibby and Elliott, go for no more than $10 in their college uniforms. While I know that guys like Jordan, in his NC blues, and Larry Bird, in his Indiana State duds, command some serious coin, lesser names go for next to nothing in their college unis. This is especially true for guys from the Classic/Sage era, who signed a number of cards for those college centric sets. With that in mind, I’m going to spend the college basketball season highlighting cards from college basketball sets (Classic, Press Pass, SAGE, etc.). These sets were often after thoughts when they were introduced and are not often though about now. Some of these sets are very well designed and the checklists are better than you remember. For instance, check out the 1995 Classic Autographs checklist, while the draft class is not one of the best (Stackhouse, Damon Stoudamire, Rasheed Wallace, Antonio McDyess), there are autographs of Jason Kidd, Shaquille O’Neal, and Dikembe Mutombo before the big boys even started including autographs as a normal insert. Sets like Scoreboard Rookies and Press Pass continued including big name autos, especially in 1996 when the NBA drafted one of it’s best classes in history (Kobe, Ray Allen, Steve Nash, and Allen Iverson). To kick off college basketball season, the first card I’m featuring is my 1995 Classic Rookies Preview card of Damon Stoudamire. First of all, Damon Stoudamire is my all-time favorite college basketball player. He had the sweetest shot and was, arguably, the best point guard in Arizona history helping to solidify Arizona’s reputation as Point Guard U. Take a look at his stats, amazingly 4 years of them, and tell me he doesn’t rank up there with any of the great college point guards. 23 ppg, 7 apg, and 46% from the three point line as a senior? Good god, he was a man among boys at only 5’10”. While I have plenty of his college cards, including a few autos, I featured this card because of the outstanding photography and wonderfully simple design. Classic hit it out of the park in 1995. 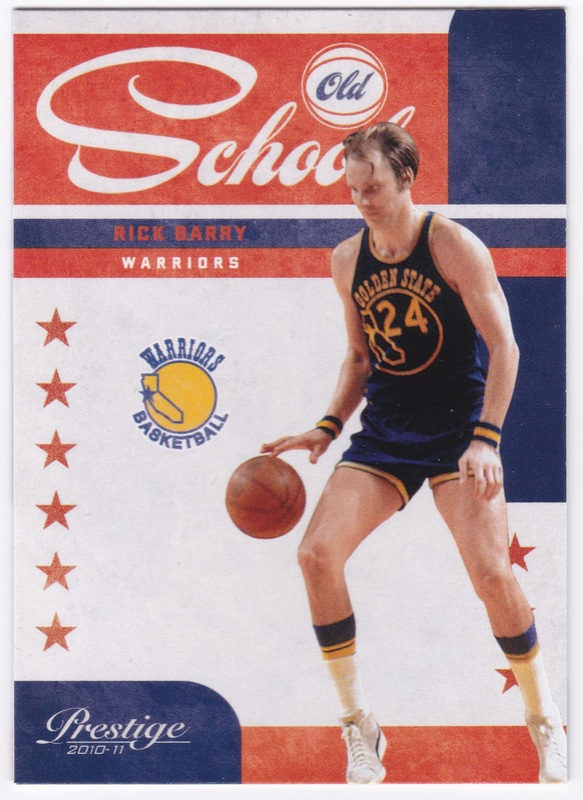 They maintained an understated design during the the time that the big guys were relying on die cuts and as much foil as they could put on a card. Classic understood that cards are a time capsule, especially college cards given that the players are only there for a limited time, and focused on having a classic design and great photography. This was also the first Stoudamire card that I tracked down, so it always has a special place in my collection. I finally got my Derrick Williams autograph. Awww yeah. I’ve been after his Hoops auto since it released, but the cards were selling for a bit more than I was comfortable paying. In the meantime, Prestige released and with it, the above pictured card. I ended up winning this card for less than any of the Hoops autos that I bid on, which was a bit suprising but made me quite happy. It arrived yesterday and I was like a kid at Christmas. The card features a decent photo on a shiny background on the top 2/3 of the card. The bottom 1/3 is white with Prestigious Picks in gold lettering and the autograph itself. I’ll be honest the design is nothing special, my dislike for shiny cards is well-known and the white space is a little too much. Furthermore, the auto is a sticker drop, which I usually loathe. But this card is different. This is the best sticker drop I’ve ever seen. First, the sticker is not too obvious, it has a very faint hologram on it but otherwise is almost completely clear. Second, and most importantly, there is a shadowed border around the sticker, giving it the effect of a cut auto bordered by the card. I think all manufacturers need to adopt this for their sticker autos, it helps hide the fact that it is a sticker and is visually pleasing. Though I’m not a Panini fan, I will give credit where credit is due and admit that Panini has at least figured out how to make sticker autos more palatable. However, Panini could just do more on-card autos and avoid this all together. Que sera sera, I guess. I should admit that I would have loved this card no matter what it loooked like. 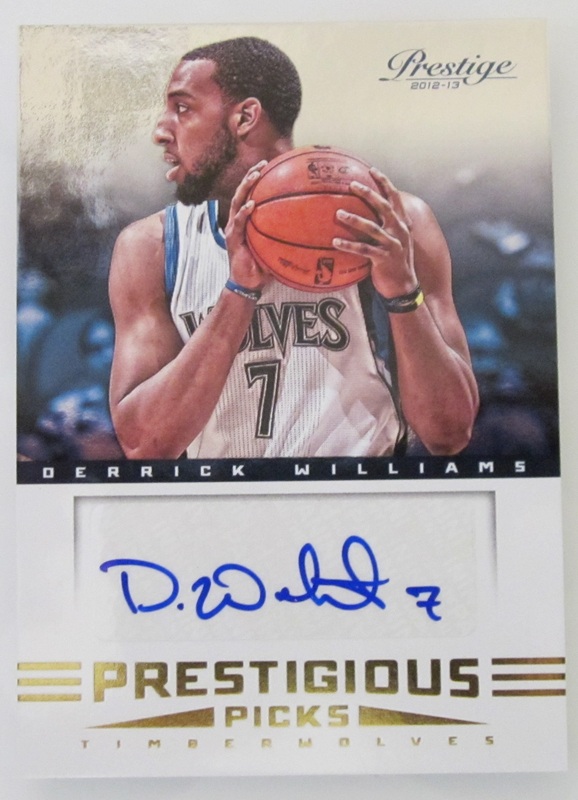 It’s one of Derrick Williams first autographs, and it is a fine autograph at that. I’ve been waiting for his autos to drop since he was drafted, and I’ve had to wait too long because of the lockout. Williams is one of my top five all-time favorite Arizona basketball players. His dunks in college, and the pros, were ridiculous and his skills around the hoop, finishing and drawing fouls, were without compare. He is a beast on offense when he is given an opportunity, we have to remember that led the nation in free throw attempts in his final year at Arizona, evidencing his ability to draw contact, and was one of the leaders in true shooting percentage, which includes free throws and adjusts for the type of shot taken. I’ve mentioned in a previous post that I hope Minnesota either gives him substantial minutes or trades him. He deserves a chance on the big stage, he has the athleticism and skills to be a star. I can legitimately say that I have not been as excited for an Arizona player in the NBA since Damon Stoudamire. 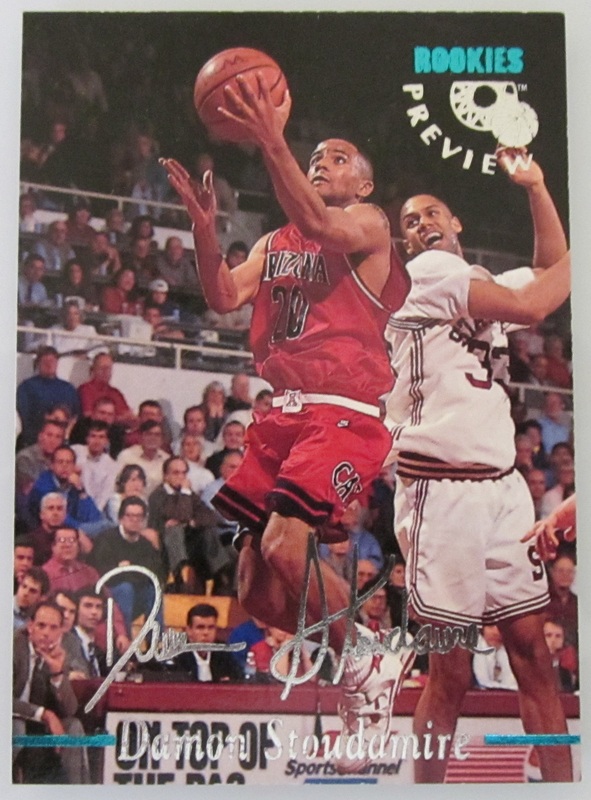 I also have not been as excited for any Arizona players cards since Damon Stoudamire. Hopefully I can get a few more D-Will autos to go with my Stoudamire collection. Maybe on-card next time. You hear me, Panini? 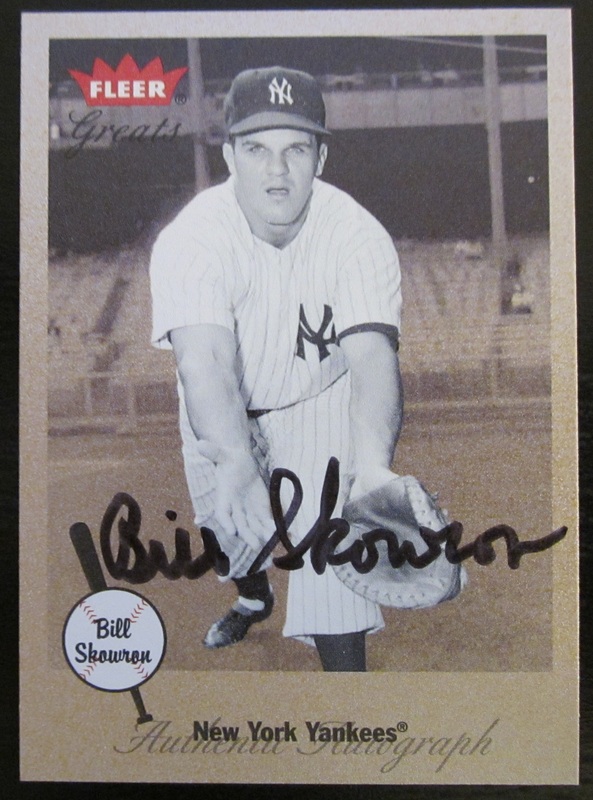 Before there was Mike Mussina, there was the original Moose, Bill Skowron. Moose Skowron was a favorite of my dad’s so, even though I wasn’t old enough to remember him, I knew how good the big hitting first baseman was. He is an underappreciated Yankee because of who he played with, guys like Mickey, Yogi, Whitey, and Roger. He played with guys who are instantly recognizable by first name alone, so you can’t blame him for flying under the radar. He was an integral part of the Yankees in the fifties and early sixties though. In nine seasons with the Yankees, he hit .294/.346/.496 with 165 home runs and he played solid defense at first. He would have been a star for most teams during those nine seasons, but he was a Yankee and largely overlooked. I picked up a 2002 Fleer Greats Autograph of the Moose at a card show last year, and it is a fantastic card. The photo is a posed one, showing Bill in a fielding stance. 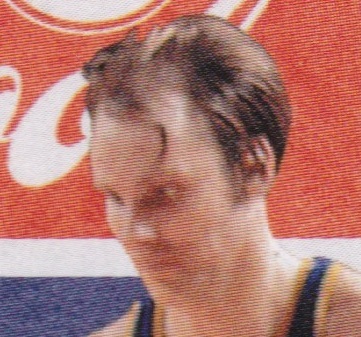 The card itself has a gold sheen on everything except Moose himself, giving the background a sepia-like tone. The design gives a nice effect, like it is a black and white picture combined with a sepia picture. It’s visually pleasing and gives the card the right feel, given the time period that Moose played in. The signature is one of the most legible signatures I’ve ever seen. It’s like he actually took his time when he signed the card. It’s also signed with a thicker black marker which is something you don’t see too often. And, of course, it’s an on-card signature. Just the way it should be. Moose, Pack A Week salutes you. When I was 7 my grandfather died. He lived with us at the time, but I was not really close to him. He was old school, not a hands on grandparent like you see today, but this was the first time anyone I knew died. My dad is from New York, as was my grandfather. The funeral services were going to be held there so he could be buried with my grandmother. My family, not having a lot of money at the time, couldn’t afford for all of use to travel out for the services so my dad went alone. He was gone for a few days, I remember, and when he returned he brought back some gifts for for me and my sister. I don’t recall what he brough my sister, but my dad brought me back a box of 1991 Topps Baseball. Those were the first cards I ever opened. That month in 1991 saw me lose my first family member but also saw me gain a hobby. At the time that I got those cards I had no interest in sports. I had gone to some minor league baseball games but was more interested in the snacks than the game. I had no concept of football or basketball at the time. GI Joe, Teenage Mutant Ninja Turtles, and Nintendo were the extent of my personal interests. My family wasn’t really big sports fans either. My grandfather, before he passed, was a Mets fan so I remember seeing Mets stuff around and believed at the time that they were my favorite team. My dad was a Yankees fan, but was not as passionate at that time as he was as kid or as he is again (I can’t imagine anyone more nervous about the Yanks current slump than him). Sports cards actually fostered my interests in sports. At the time, however, I was only looking for Mets cards, specifically Darryl Strawberry because he was the only Met I knew by name. The only other player I knew was Nolan Ryan. From ages 7 – 9 these were my favorite players. I’m now a Yankees fan. As my interest in baseall grew, it became something that me and my dad bonded over, so I began to adopt his favorite team as my own, I was a full-fledged Yankees fan in time to witness the whole Derek Jeter era. I also became a Yankees fan in time to wonder why people always get so nervous around playoff time when their teams were in the hunt, as far as a I knew you’d win most of the time. So I opened the box. I methodically pored over each card. I set aside the Mets cards and the Nolan Ryan cards. The rest were stacked up neatly. My dad gave me the run down about not bending them or ruining the corners before I opened the cards, so I was set from a young age on card handling skills. I loved all the pictures and thought it was pretty cool to learn about all the players on the backs. I didn’t have much of reference point regarding the design at the time, but looking at them now I love them. I’m not sure if that is just because I have fond memories of my experience opening them, but I really do love the multicolor borders and the large pictures (things that I still love in card design). The action shots from this set were really well done. The set is expansive (792 cards) and I know I never completed it. But I did end up with some cards that I love. I’m featuring the Chipper Jones rookie card. 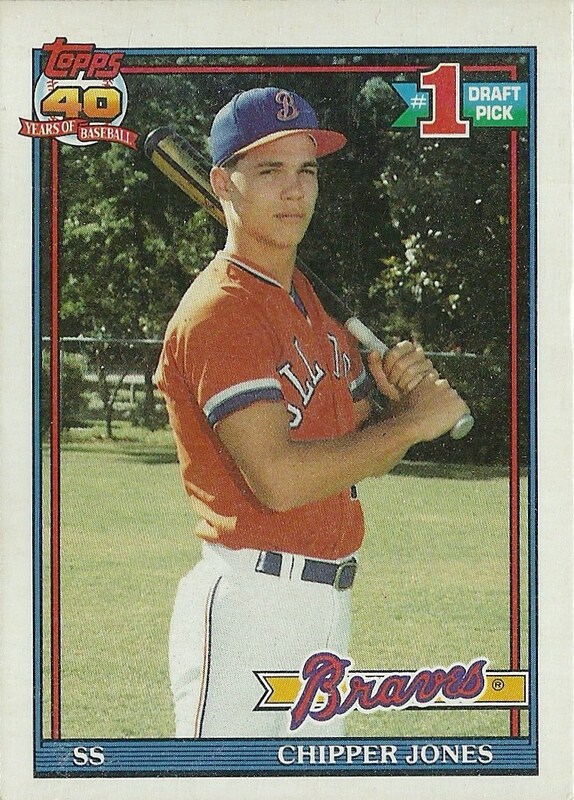 At the time I didn’t know what a “#1 Draft Pick was” nor did I know who this “Chipper” fellow was, but it stands as the best card from the set. It is also a very cool card in hindsight: an 18 year old future hall of famer in his high school uniform. Chipper is slated to retire this year and he has always been one of my favority non-Yankees. He’s had the kind of solid career that any fan wishes their cornerstone player would have and he’s done it all for one team. Chipper, Pack A Week salutes you. .304/.401/.531 468 HR & more walks than strikeouts. Simply amazing. Most of the cards I got from that box were recently sold with about 40000 other commons that were taking up too much space. I did save the ones I loved like Bernie Williams, Don Mattingly, Cal Ripken Jr., Ken Griffey Jr., and Nolan Ryan. 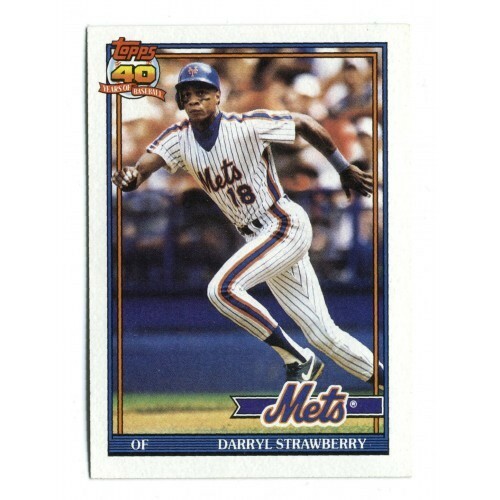 I also saved my Darryl Strawberry card, but I gave it to my wife because the only baseball player she knew growing up was also Darryl Strawberry. Hey everyone, this Ryan Berry. Ryan came to me through the mail. His fantastic image is contained on a 2011 Topps Heritage Minor League autograph card. When I saw this picture on eBay, I knew it must be mine. 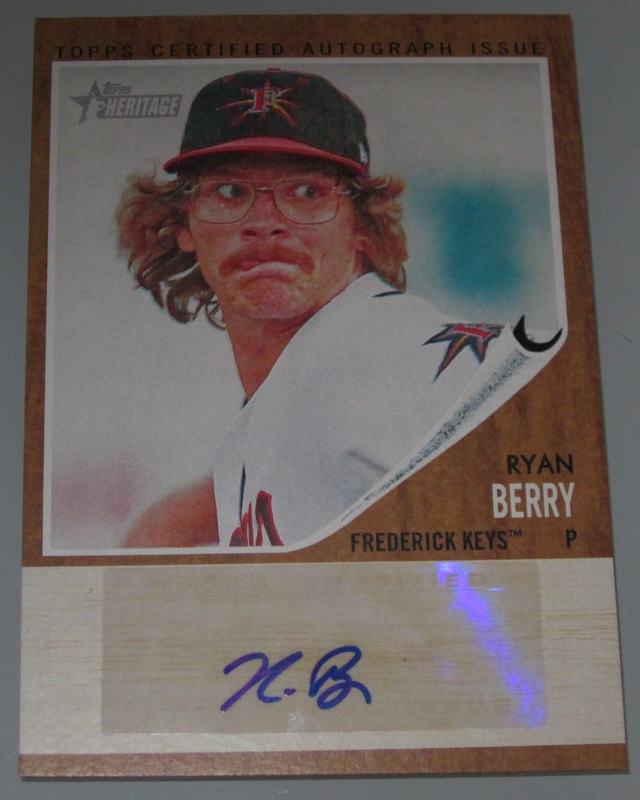 For the record, this was the one and only card I’ve ever purchased based on the looks of the player on the card. I would do it again in a second. Baseball needs more Ryan Berrys. He isn’t afraid to look like the coolest guy you know. He’s also not afraid to strike a few guys out according to the back of the card. He also doesn’t over do it on the signature, much like yours truly. A simple R.B is all that is necessary. Ryan Berry doesn’t try too hard. When I decided to use this card as my first “The Best” subject, I had high hopes that Ryan still looked this cool…or maybe even cooler. I’m sad to report that he is currently less cool. I still appreciate the mustache, but he is going to have to step it up if he ever wants to be the coolest looking guy in the majors. He will also need to advance out of A ball next year.